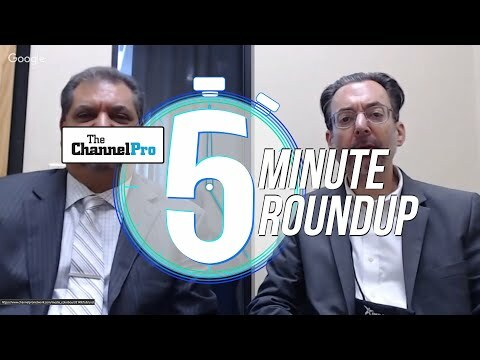 It came out during episode 6 of ChannelPro Weekly that I have a technology museum of sorts - a huge collection of hardware ranging from computer components, systems, peripherals, cellphones, PDAs, and more. Starting with episode 7, each week I will do a hardware pick from the museum and talk about it on the podcast. Each week I will post photos of the pick so you can see the item we're discussing. 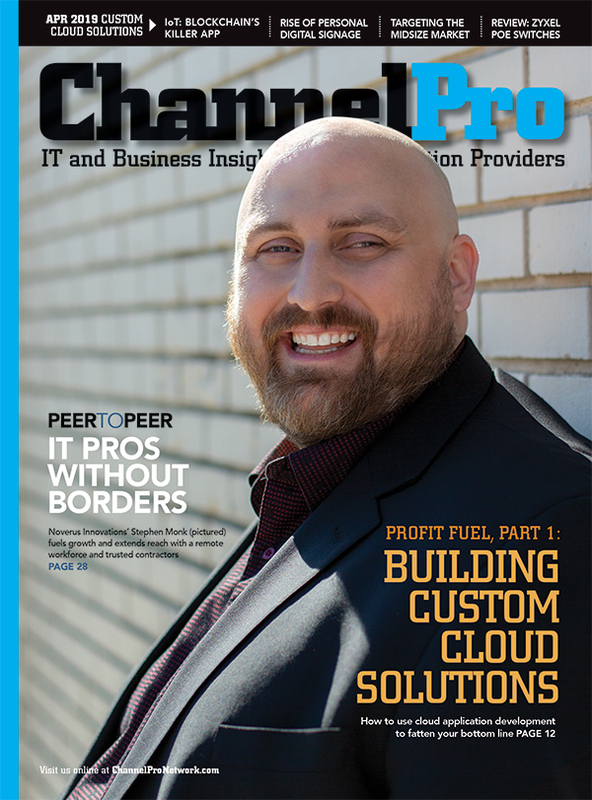 Subscribe to ChannelPro Weekly in iTunes or via RSS in your favorite podcast app! Episode 7 pick - iomega Zip Drive (front). Before there were USB flash drives, taking data on the go meant using a disk. At the time, the 1.44MB floppy disk was the most popular, but the Zip Drive (and Zip Disk) was the most notable high-capcity disk-style alternate. Introduced by Iomega in late 1994, the Zip Drive allowed users to store 100MB of data per disk (later in even higher capacities), which was significantly larger than floppies. Read/write performance was as high as 1MB for the SCSI version, but the parrallel version (what I have) was significantly slower. Episode 7 pick - iomega Zip Drive (rear). Before there were USB flash drives, taking data on the go meant using a disk. At the time, the 1.44MB floppy disk was the most popular, but the Zip Drive (and Zip Disk) was the most notable high-capcity disk-style alternate. Introduced by Iomega in late 1994, the Zip Drive allowed users to store 100MB of data per disk (later in even higher capacities), which was significantly larger than floppies. Read/write performance was as high as 1MB for the SCSI version, but the parrallel version (what I have) was significantly slower. Episode 8 pick - Intel i486 DX2. They they are, the Intel i486DX2 in both 50 and 66MHz trim. The one on the right is the 50, and also the actual chip from my very first desktop build so long, long ago. A few interesting tidbits about the 486: The 486 was the first tightly pipelined x86 design as well as the first x86 chip to use more than a million transistors. The i486 does not have the usual 80-prefix because of a court ruling that prohibits trademarking numbers. From a performance point of view, the i486 was a big improvement over the 386. It has an on-chip unified instruction and data cache, an on-chip floating-point unit (FPU) and an enhanced bus interface unit. Due to the tight pipelining, sequences of simple instructions could sustain a single clock cycle throughput (one instruction completed every clock). These improvements yielded a rough doubling in integer ALU performance over the 386 at the same clock rate. A 16-MHz 486 therefore had a performance similar to a 33-MHz 386, and the older design had to reach 50 MHz to be comparable with a 25-MHz 486 part. Episode 8 pick - Intel i486 DX2. Check out the number of pins on the 486 - which contains roughly 1/5 the pins of modern processors. Episode #9 Pick - The Sharp YO-500 Electronic Organizer. Cecilia may think it has "too many keys," but this thing was a modern marvel of electronic organization in its day. Manage telephone numbers, appointements, anniversaries and birthdays, memos, notes, exepenses, and much, much more! Before there were smartphones, this was the superior alternative to pen and paper notebooks. Episode #010 Pick - There it is, the original cellular phone in all it's brick-like glory: the Motorola Dynatac. 10 hours to charge, 30 minutes of talk time - forget things like texting, apps, games, pocketability, etc. This thing did one thing, and that's make phone calls. The very first one nearly cost $10,000 (adjusted for inflation), so only the elite of the elite had one. Episode #010 Pick - There it is, the original cellular phone in all it's brick-like glory. 10 hours to charge, 30 minutes of talk time - forget things like texting, apps, games, pocketability, etc. This thing did one thing, and that's make phone calls. The very first one nearly cost $10,000 (adjusted for inflation), so only the elite of the elite had one. Episode #011 pick - There it is. The device that started my love affair with Windows Phone. OLED screen, 8GB storage (expandable to 16 via Micro SD), Gorilla Glass, decent camera with dedicated camera button, and running Windows Phone 7. Interesting to note that Windows Phone 7 was the first product in Microsoft's modern line to show off the direction of their modern design language, including live tiles (which are still a part of Windows 10 today). Episode 12 Pick - The S3 Virge/GX Graphics Accellerator. S3 was one of the big players in PC graphics back in the day, and the Virge was their first attempt at 3D acceleration. It was a stellar 2D performer, which was arguably more important at the time, however towards the end of the 90s competition in 3D ramped up and companies like 3dfx, Nvidia, and ATi ended up eating S3 for lunch. Episode 13 Pick - Good 'ol RDRAM. What was originally intended to take the Pentium 4 to new heights with its ultra-fast bus and huge memory bandwidth ended up fizzling out quickly as the high cost of memory sticks kept many buyers away. For a short time, RDRAM was Intel's dream, and when launched was significantly faster than PC133 SDRAM. Ultimately, SDRAM went DDR and ultimately overcame RDRAM's bandwidth advantage with significantly lower latency and much lower cost. Episode 14 Pick - Behold the Microsoft Fingerprint Reader! Available during the XP and early Vista timeframe, this was a super convenient add-on accessory that made it easy to use your fingerprint to log in to a PC, and even websites. Microsoft abruptly killed support for it when Windows 7 ushered in the era of mainstream 64 bit computing. Though never intended to be a secure business device, sold to consumers for convenience, it was discovered the Fingerprint Reader didn't support hardware encryption of fingerprints. If you have one and still want to use it, there is a group dedicated to keeping it functional... assuming you're cool with community-rolled software. Episode 15 Pick - Why should consoles get to have all the fun? No doubt for most games a keyboard and mouse is the superior input method. Back in the day, however, most PC games were played with just a keyboard or a joystick, leaving certain games wanting for a more console-like control scheme. Enter the Gravis PC GamePad, the first handheld controller for the PC. It was surprisingly well thought out for its time, including two button schemes, left or right hand support, and a removable mini-joystick. Episode 16 Pick - HP may be doubling down on Windows Mobile with the new Elite x3, but this wouldn't be the first time. HP was known for it's Windows Mobile Pocket PCs back in the day, and the HP iPaq hx2495 was loaded to bear with modern technology in its day. Fast processing, TFT LCD resistive touch display, 802.11b wireless LAN, Bluetooth, and much more. Episode 17 Pick - T-Mobile's G1 (aka the HTC Dream) is notable for being the very first smartphone released to run an unknown OS purchased a year earlier by Google called "Android." Early versions Android were buggy and lacked numerous features (in fact, the G1 shipped without an on-screen keyboard). Episode 18 Pick - The SoundBlaster Vibra 16C highlights the end of the golden era for sound cards, this being the last of the SoundBlaster line to be made for the aging ISA bus. The Vibra 16 was a cost-reduced version of the famous SoundBlaster 16, one of the most widely adopted and emulated cards in history. Episode 19 Pick - I have a 16MB SmartMedia Card around here somewhere, but I can't seem to find it. Until I do, this image is from the great Wikipedia. SmartMedia was originally destined to be the replacement for floppy disks way back in the day, a market that went to USB based thumb drives instead. As a result, SmartMedia found its niche in early digital consumer devices like digital cameras. There were many technical reasons why SmartMedia didn't end up the long term standard, but it's no doubt the format that pioneered early digital devices and paved the way for future flash formats. Episode 20 Pick - Anyone remember browsing the RadioShack catalog with one of these? The QueCat! Think of it as QR codes with a dedicated PS/2 peripheral. Swipe the special barcode in any catalog, newspaper, or magazine, and you're magically whisked away to a webpage on the world wide web! Learn more about it here. Episode 21 Pick - In celebration of the Windows 10 Anniversary Update, it seemed prudent to bring out the museum equivalent of a big update to Windows (but not as big as XP2) - Windows 98SE! Ah yes, the version of Windows 98 that was a lot less "crashy" than the original, but they also added a host of new hardware support and some innovative UI features. It may be cheating a little since an OS is software and not hardware... BUT ... it's on a physcial retail CD. And installing an OS from a pressed retail CD is museum worthy in itself. Episode 23 Pick - Need to scan a document or receipt on the go in the late 90s? Now you can with the HP CapShare 920. Simply swipe the scanner over your document, and it will identify text and numbers with OCR magic. Enough storage for 50 documents, giving you ample room for pages before having to transfer them to a computer with the proprietary connection cable. Episode 24 Pick - It's basically an electromagnet in a plastic case, perfect for zapping away any residual video or data left on magnetic tape, RadioShack/Realistic's High Power Bulk Tape Eraser could do a number on just about any form of magnetic media. I've used it to erase floppies, tapes, hard drives, Zip disks, and will even admit to some magnetic antics with paperclips and other metallic objects. Episode 25 Pick - I don't have many Apple products, but (for the museum) it's only fair to give Apple credit when credit is due. The Mac Mini really drove the idea that computers didn't have to be large boxes that sat under a desk, and instead could be sleek, small devices that disappear on a desk. This one, the A1176, was the first generation Mac Mini with an Intel processor, and the second generation of Mac Mini overall (both generations look identical though). Episode 26 Pick - Meet DroboShare, the largely unknown peripheral that brought network capability to the first-generation Drobo Storage device. An expensive add-on for an already expensive device, but Drobo actually had larger ambitions for the DroboShare than just putting Drobo on the network. With DroboShare, developers could write custom packages to expand the capabilities and features of the Drobo, but lack of developer interest and limited market kept it from really taking off. Episode 27 Pick - Truly a game changing device, the Slingbox Classic was the first to pioneer the concept of place-shifting your home entertainment to wherever you happen to be. Connect this beauty to your home cable box, antenna, or other device, and you could watch and control it from any PC. This was, of course, before streaming services were really a thing. Even today a Slingbox still has its use, as streaming live television from broadcast and cable sources still isn't always possible, plus you can stream your own DVR recordings. Episode 28 Pick - There she is, the queen of all mice - the Logitech MX Revolution. Although since we recorded this episode, Logitech has finally come out with a worthy successor in the MX Master, this (well used as you can tell) mouse is loaded with revolutionary features and high-end class. The unique auto-sensing free-spinning/click wheel was the real gem, making long spreadsheets and web-pages simple to navigate, but there's also side rocker, back-forward buttons, and software to customize every button per application. Episode 30 Pick - Connect to AOL and browse/download at a blasing 28.8kbps - that's a whole megabyte per minute! This PCMCIA modem is ready to take your notebook computer into the Internet age! Episode 30 Pick - I bet you remeber having a stack of these, thanks to baggers at the grocery checkout and your local postal carrier. Episode 31 Pick - The sweet, sweet sound of ... sound. Back in the day, integrated audio was mediocre at best, and usually not even that good. That was easy to fix in desktops, thanks to an abundance of dedicated sound cards, but notebook users were usually stuck. Gamers and audiophiles looking to take it up a notch breathed a sigh of relief when Creative Labs unleashed the SoundBlaster Audigy 2 ZS PCMCIA card for notebooks. It included a dedicated audio processor, real EAX effects, multichannel surround sound, and much more. I spent many, many hours with headphones plugged into this card playing a huge assortment of games ranging from Warcraft III to Oblivion. Episode 32 Pick - When cameras started appearing in cell phones, they were mostly a novelty thanks to extremely low resolutions and poor image quality. That all changed when Sony Ericsson released the S710a, the first cell phone that made the camera its biggest feature, and was significantly better than anything that came before it. Today the 1.3MP sensor is laughable compared to modern smartphones, but compared to the QVGA and VGA snappers in phones at the time, it was a significant improvement. Episode 33 Pick - Got a stack of business cards, but wish you could magically sync all the information on them to your Palm III? The Corex CardScan Executive 500 was the answer! Stick a card through it and it would capture both sides of the card, then run a little OCR magic to figure out the name, company, and other useful info therein. I haven't used mine in a long time (though I am curious to see how it stacks up). I remember it working pretty well with simpler card formats, but choking when card designs used fancy images and fonts. Episode 35 Pick (no, I didn't skip one. There was no pick in episode 34) - Back in the day, if you wanted to know who was calling you had to pick up the receiver and say, "Hello?" That is, until this mystical device was unleashed upon our realm. It's dark sorcery could actually show you who was calling BEFORE you picked up the phone. Amazing! Episode 36 Pick - The IQ500 series TouchSmart PC from HP wasn't the "first" mainstream AiO with a touch-capable screen, but it is the one that set the standard for what a touch AiO should be that has been replicated by nearly every other manufacturer since. Intel Core2 Duo processor, 500GB Hard Drive, 4GB of RAM, Nvidia graphics, and even shipped with a 64-bit build of Vista (not exactly common at the time). Mine has been chugging away in our kitchen as a PC/TV combo nearly 24/7 since 2010, getting upgrades to only the OS from Windows Vista, to Windows 7, to Windows 8/8.1, and finally to Windows 10. It remains there as I type this, but as well as its held up over the years there is no doubt the Core2 within just isn't quite enough to handle multiple logged-in users dealing with the modern web. Soon it will be relegated to the museum, but with 7 years of nearly flawless operation, it deserves a 21 Nerf gun salute during its final shut-down. Episode 38 Pick - Not exactly part of the computer world, but a fun relic of the past. Meet Gemstar's VCR Plus+ remote control, the solution to finally being able to record shows on a VCR (remember those?). You see, assuming people could get the VCR clock set to the right time (and that's a BIG if), most couldn't figure out how to set a timer to record or grasp the concept that when recording with a cable box, the VCR needs to record Channel 3 or the line input, and not the channel you wanted to record. VCR Plus+ brought all that stuff into a separate remote, with its own clock, that could automatically set everything to record up to 14 of your favorite shows once, weekly, or M-F. Simply punch in the 4 number code in your TV guide, and you're off to the races. Most people don't realize VCR Plus+ started as a separate hardware product, because it was so ingenious and simple that it ended up being integrated into VCRs as a feature. Episode 39 Pick - Behold! It's NETGEAR's WGR101 Wireless-G Travel Router, which was once a permanent staple in my travel bag up until a few years ago. In the early days of hotel internet, a portable travel router was a blessing to have on hand. Simply attach that Ethernet cable on the desk to this instead of a single device, and you could enjoy all the glory or Wi-Fi on as many devices as you wanted. These days hotels offer Wi-Fi and (usually) support for multiple devices on one account (and these days you rarely have to pay for web access, anyway), but a travel router is still handy if you have devices like Chromecast, FireStick, Apple TV, game consoles, etc where getting them on a hotel connection is problematic. 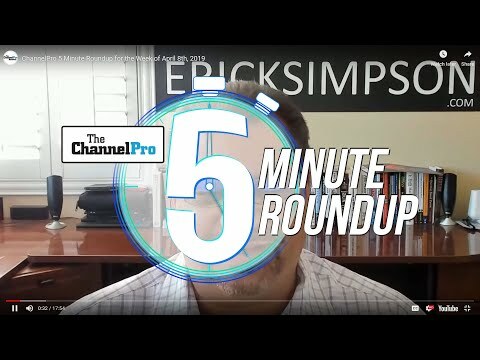 This one, of course, is dated, but if you want to hear about a modern-day equivalent, give ChannelPro Weekly Episode 39 a listen. Bluetooth wearer: "Hi Bob! How's it going?" Bluetooth wearer: "I said how's it going." Bluetooth wearer: "HOW'S IT GOING?" Other person: "Huh? Are you wearing one of those stupid earpieces?" And that pretty much summed it up. That is, until the Jawbone arrived, which was one of the first Bluetooth earpieces to take a really good crack at noise reduction. At the time, a YouTube video demonstration made it look like this thing was the best thing since sliced bread. In reality, the noise cancellation technology didn't work as well as hyped in the video, but it was still better than anything out there at the time. Episode 41 Pick - One of the oldest notebooks in Matt's collection! Coming in at just 2" thin and weighing only 7 pounds, this was the mobile beast back in 1995. 75 Mhz Intel Pentium processor, 8MB of RAM, 10.1" 640x480 color LCD screen, 4X CD and external 3.5" floppy drives, serial and parallel ports, and PCMCIA expansion slots. This one runs Windows 3.11 for Workgroups, although it was available later that year with Windows 95. Episode 42 Pick - While the iPhone redefined the smartphone category, Motorola's 1996 StarTAC set a whole new bar for what a cell phone could be. Early cell phones were bricks, and the rush was on to minituraize the cellular phone, and Motorola's clamshell StarTAC was everything a phone needed to be: small, light, and attractive. Ultimately, the StarTAC design was the first widely adopted cellular phone, selling over 60 million units. Episode 43 Pick - Back in the 90's and early 2000's Microsoft was the king of the hill when it came to mice. The Comfort Mouse 4500 isn't my favorite Microsoft mouse of all time, but it's pretty close. Notable here was Microsoft's dual-mode PS/2 and USB support with the included adapter, a comfortable size, ambidextrious shape, and fancy new optical sensor - forever ending the need to take out the ball and clean those little internal mouse wheels. Episode 44 Pick - Logitech's Quickcam Messenger (shown here with a strip of classy electrical tape across the mic hole) wasn't the fanciest or best in its day, but it was one of the first VGA webcams available at an incredibly low price, thereby bringing quality webcamming to desktops everywhere. Episode 46 Pick (there was no museum pick in Episode 45) - The PATA 40 pin ribbon cable, aka IDE cable. Open up any desktop computer from the late 80s until the mid 2000s, and you were bound to see one (or more) of these winding its way from the motherboard to a hard disk or optical drive. The 40 wire version was the most commonly used, but later replaced by an 80 wire variant to push transfer speeds beyond 100MB/s.